Since the late Qing period, a new modern media figure and high-profile profession—the songstress (gē nǚ)—has gradually come to overshadow sing-song girls (gē jì, courtesans), to rise and shine on the stage of modern Chinese cultural history (see Field, 1999). While some researchers have explored this fascinating female figure in their works, the songstress has not been the subject of a systematic and comprehensive book-length study until now. With Sounding the Modern Woman, Jean Ma has gone a long way in filling this gap. Embracing Mariam Bratu Hansen’s (2000) vernacular modernism approach, Ma has developed and enriched an account of Chinese modernism through the sound history of film and ‘the trail of the songstress’ (p. 4). As Järviluoma, Moisala and Vilkko (2003, pp. 84–85) point out, ‘in the modern era it is the eye, vision and visual aspects of experience which have been foregrounded in the study of culture’. Approaching the songstress as a ‘sensory reflexive horizon’ (Hansen, 2000, p. 13) of Chinese cinema and tracing the circuitous trail of the songstress from Shanghai to Hong Kong, Ma remaps the cultural and media geography of ‘a tale of two cities’ and the sonic landscape of Chinese cinema and Chinese history against a global horizon. In her book, Ma ‘redresses the imbalance between image and sound’ (p. 6) in academia and enriches the historical understanding of Chinese cinema, revealing the hybrid conditions of Chinese cinema and Chinese modernity. Sounding the Modern Woman comprises of an introduction, five chapters and a coda. 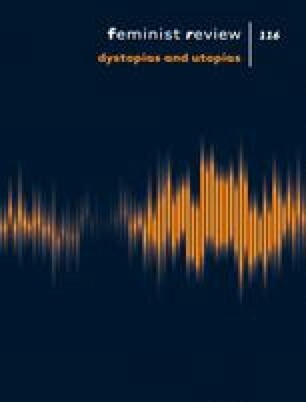 In the introduction, Ma delineates the book’s keywords (sound, gender, reception and location), theoretical continuity and chapter organisation. Throughout the book, Ma locates different types of songstresses from Shanghai to Hong Kong. At the same time, she also transcends comparative analytical frameworks and criteria of integration by drawing a polycentric picture of Chinese cinema that interprets interaction, heterogeneity and disjunction. In Chapter 1, Ma traces the birth of the songstress in Chinese cinema in early 1930s Shanghai, situating it ‘within a history of multi-media performances’ (p. 27). Taking the most popular singing star, Zhou Xuan, as a case study, Ma bridges the soundscape of pre-war Shanghai and post-war Hong Kong by revealing both the differences and inner continuity between them. As a disempowered female figure and a key character of the audiovisual spectacle, the suffering songstress echoes the changing historical circumstances of 1930s China and represents the difference between Shanghai modernity and Hong Kong modernity during the war years. From Chapter 2 to Chapter 5, Ma locates her research in a comparative framework, with a specific focus on Hong Kong. In Chapter 2, Ma delineates factors—such as ‘the intermedia currents’ (p. 96), the studio industry, musical development, global influence and socioeconomic context—to shape ‘the blooming years’ (p. 1) and new images of the songstress and songstress films. The old singing performers (with Zhou Xuan as the representative star) and the original cinematic songstress prototypes long associated with the Shanghai era—such as reluctant party girls, fallen women, farmer’s daughters and urban migrants—lingered and flourished on the post-war screen. Novel models of lyrical femininity and songstress types also sprang up—sprightly country lasses, high-spirited teenagers and college coeds, cheerily efficient air hostesses and young working wives—who were carried along by a younger generation of performers to announce a new sensibility and ethos in Hong Kong cinema (pp. 71–72). The continuity and ‘the internal dissonances’ embedded in the post-war era moved Chinese film history into a new phase with ‘greater hybridity and promiscuity’ (p. 98), where a new species of songstresses and female-centred narratives would resonate with the mobility of Hong Kong modernity. According to Ma, this gendered modernity unfolds into four different types of songstresses, and in Chapters 3, 4 and 5 she closely scrutinises selected film texts and female stars (e.g. Chung Ching, Yao Lee, Grace Chang) in light of original archival research. The ‘rustic songstress’ type presented in Chapter 3 denotes ‘rural natural beauty’ (p. 110); she is a ‘natural-born singer’ (p. 116) whose voice and songs portray country life as idyllic pastoral pictures. The pastoral imaginary of this type breaks the ‘country-city dichotomy’ (ibid.) of the Shanghai filmmaking tradition, presenting a positive attitude towards urban modernity and a more democratic perceptive system filled with incoherence and disjunction. The ‘Mambo girl’ presented in Chapter 4, both as a new songstress type and the title of a representative songstress film (Manbo Nulang [Mambo Girl], 1957), highlights the vigorous dancing bodies of songstresses with cosmopolitan flavour and represents an ‘idealized image of modern femininity’ (p. 149) against the prosperous socioeconomic context of post-war Hong Kong. Chapter 5 discusses the Chinese ‘Carmen and Camille’ songstress, who appears in Ye Mei Gui Zhi Lian [The Wild, Wild Rose] (1960) and combines two of the most frequently adapted narratives of Western romantic literature (p. 189). This songstress projects the imagination of modernity in terms of the intertextual communication between different media, narratives and genres, and ‘the interplay between the local and global’ (p. 208). It is not easy for the suffering songstress to escape the dominant ‘narrative system of control’ (p. 212) of songstress films, which literally and figuratively silences them by having them suffer, sacrifice or die. However, their musical voices exhibit a gendered audiovisual subjectivity, a dynamic paradox wrought by and reflecting the hybrid condition of Chinese modernity. Modern Chinese philosopher Hu Shih (1986) has described pragmatism as a pretty, obedient girl at the disposal of people who make and dress her up. Allegorically, the beautiful Chinese songstress, who was made and dressed up by different subjects, performs on the stage of Chinese history. However, Ma transcends binaries lying in post-psychological theories to reveal the songstress’ many faces otherwise hidden behind her metaphorical veils, through which we see a multidimensional decentred cinematic history filled with tension, disjunction, incoherence, dynamics and continuity. Ma’s study is of great importance because she asks us to turn away from a mainland-centric account of film history and the nation-based paradigms of historiography (p. 26). She draws a gendered configuration of urban history that highlights diversified voices from the diaspora and other parts of the Chinese-speaking world (Hong Kong, Taiwan, Southeast Asia). While Ma aims to transcend polarisation and binaries in her analysis, her rendering of the pre-war Shanghai era as ‘the other’ is an over-simplified denotation of leftist ideology and nationalism in comparison to Hong Kong, and the complexity and hybridity in the imaginary of Shanghai modernity needs further exploration. Moreover, Ma’s discussion on the division of labour between men and women on and off screen (i.e. women as singers, men as musicians) needs further elaboration. Although she argues in the introduction that the songstress reigned over the Hong Kong movie world in the post-war years, overshadowing their male co-stars (p. 12), Ma leaves the reader wondering: how are gender roles constructed by the film texts, and how is female subjectivity reflected through the entanglement and negotiation between men and women, on and off screen? Finally, to rewrite Chinese film history and cultural history from the perspective of sound and a specific female figure, Ma seems largely inspired by the vernacular modernism approach and tries to avoid the long-term ideological criticism embedded in Chinese history and culture. However, I contend that the vernacular modernism approach should be applied in dialogue with the specifics of Chinese film and culture. This dialogue may improve our theorisation of vernacular modernism and help us draw a more sophisticated picture of gender, sound, urban modernity and political discourse in post-war Hong Kong.